Having recognized unprecedented success in 2015, LEAP, LLC is poised for an even greater 2016, as it starts the year by adding Major General Roger Blunt (Retired) to its leadership. Washington, DC, January 07, 2016 --(PR.com)-- Lawrence Executive Alliance of Professionals (LEAP), LLC, is coming off of an unprecedented year of success, as 2015 comes to an end and 2016 begins. The company was recognized with two prestigious honors when its CEO and President, Dr. Clayton Lawrence, was recognized as the DC Chamber of Commerce’s Small Business Person of the Year for 2015, and as he was named the Valedictorian of the 2015 Class for the Small Business Administration’s Emerging Leaders Initiative in Washington, D.C.
As the New Year begins, LEAP is especially pleased to announce the newest addition to its leadership, Major General Roger Blunt (Retired), who will serve as a special assistant to Dr. Lawrence. Roger R. Blunt is a Civil Engineer and Nuclear Engineer, registered professionally in New York State and the District of Columbia. He is a West Point Graduate and holds two Masters Degrees from the Massachusetts Institute of Technology, and a Doctor of Public Service Degree from the University of Maryland Eastern Shore. 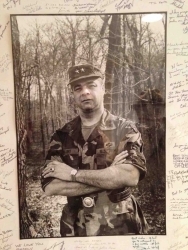 After an active career in the United States Army Corps of Engineers, General Blunt continued his service in the Active Army Reserves, and in his final assignment, he commanded the 12,000 member, 97th Army Reserve Command at Fort Meade, Maryland. He was awarded the Distinguished Service Medal. He is also a 2001 laureate of the Washington Business Hall of Fame. General Blunt is highly respected for his ability to negotiate and solve problems. For over 30 years, he has exercised technical supervision and executive oversight in the successful completion of more than $500 million in construction value. Drawing upon his Army and business background, General Blunt will help to ensure that LEAP reaches its full potential with its customers and clients, and will furthermore, assist in key initiatives to continue growing the LEAP organization. Fond of quoting General, Secretary of State Colin Powell, General Blunt states, “There are no secrets to success. It is the result of preparation, hard work, and learning from failure." It is this mindset that the LEAP organization knows will inevitably help it continue to reach even greater heights of success in 2016. To learn more about LEAP, please visit www.leap4staffing.com and follow @leapllcdc on Twitter.